The health and well-being of our teeth and mouth play an important role in our overall health. Having healthy teeth and gums, in addition to fresh breath and whiter teeth is essential for people of all ages. There is nothing quite as impressive as a healthy, beautiful smile. People tend to have greater self-confidence when they can sport a beautiful smile. We all know how important it is to brush our teeth and floss daily. Choosing the appropriate toothbrush and the perfect toothpaste contributes to our daily dental health, and quite honestly, the toothpaste we use is a strong factor in just how healthy our teeth and gums really are. With so many different brands and types of toothpaste available on the market today, surely it can be remarkably difficult and challenging to find and choose the perfect one for you. Many people think that “all toothpastes are created equal.” This could not be farther from the truth. Toothpastes vary drastically, which is why choosing the ideal toothpaste suited to your individual specific dental needs is imperative to achieving good oral health. 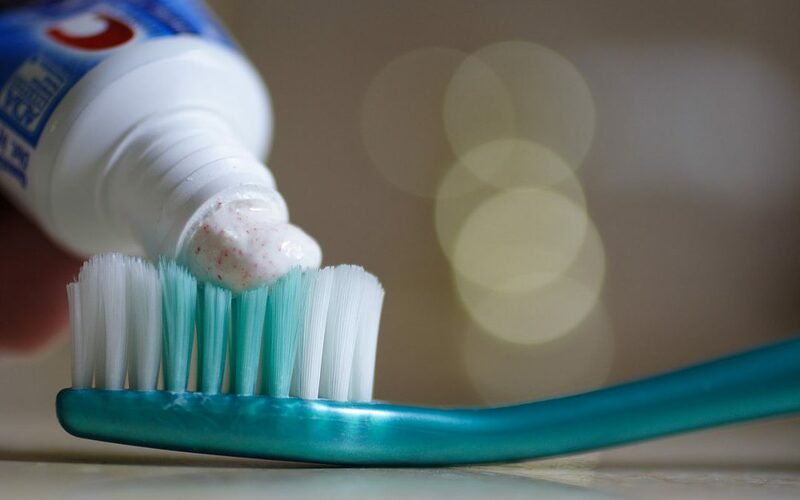 When you begin your search for the perfect toothpaste, first and foremost, look for the American Dental Association (ADA) seal and certification. Why, you may ask? Simply because the American Dental Association performs advanced studies and testing of all dental products in their efforts to confirm that the products meet with the standards and guidelines that are required by the FDA when manufacturing toothpaste. The ADA also confirms that the claims made by toothpaste manufacturers on their product boxes are, in fact, effective and accurate. Once you have limited your product search to those that are ADA approved, then the real search begins. How Do I Choose the Perfect Toothpaste? Before deciding upon a toothpaste brand and type, you must first determine if you have any special dental needs. For instance, do you have sensitive teeth? Do you suffer with discoloration and yellowing of your teeth? Do you consistently hassle with bad breath? Do you encounter gum bleeding and other gum problems? These are all important questions to take into consideration when trying to decide upon the perfect toothpaste for you. Here at Midway Family & Cosmetic Dentistry our team of friendly and professional dentists, dental assistants and dental hygienists are all committed and dedicated to providing all our Alpharetta clients with the guidance and assistance needed in brushing properly with the right toothpaste every day. When you are a part of our happy family, we will provide you with all the information and insight needed to make certain you are not only brushing properly and regularly, but that you are using the appropriate toothbrush and toothpaste that is specific to your dental needs. Regardless of what special dental needs you may have, there is no need to fret since there is a toothpaste out there that is specific to nearly every dental need and problem today. If you are uncertain as to the type of special needs you may have with regard to your dental health, then simply reach out to our highly experienced and knowledgeable team here at Midway Family & Cosmetic Dentistry with any questions or concerns you may have. We are here to assist you with all your concerns and to contribute to the development of a healthy and ideal dental routine for the proper care and maintenance of your teeth and gums. If you suffer from very sensitive teeth, we will recommend a sensitive formula toothpaste for your daily brushing, such as Sensodyne. Sensitive formula toothpastes help to relieve the discomfort that accompanies sensitive teeth while still providing all the necessary ingredients for healthier teeth and gums, fewer cavities, and even a great smile. If you tend to either drink a lot of coffee or tea, or are an avid smoker then chances are you suffer from discoloration or yellowing of your teeth. For those clients with these issues we highly recommend an effective fluoride toothpaste with a whitening formula that will provide all the necessary ingredients for your typical dental care while helping to brighten your teeth and smile. There are a variety of formulas today for whitening teeth, so please consult with one of our hygienists as to which would be best suited to your whitening needs. 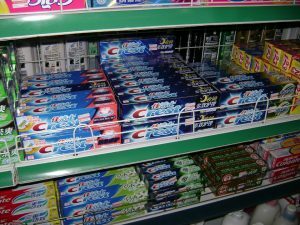 If you are consistently struggling with bad breath then indeed there are toothpaste formulas that are specific to this common dental issue as well. One added important factor that comes into play when dealing with bad breath is disciplining yourself to brush your tongue daily as well. Many food germs and bacteria accrue on the surface of the tongue which can desperately result in hard to handle, bad breath. Brushing your tongue daily should be a routine part of your daily dental care. Whatever your specific dental needs may be, it is important to understand that whichever specialized formula toothpaste you choose, be certain that it contains fluoride. Fluoride is an essential ingredient that fights and decreases tooth decay and greatly contributes to cavity prevention. Choosing a toothpaste that only whitens your teeth, or takes care of your sensitivity level, without fluoride will only present you with greater problems over time. All in all, when choosing the perfect toothpaste for you, remember to look for the toothpaste with the ADA seal and certification, make certain your toothpaste of choice contains fluoride, choose a formula that treats your specific dental needs (bad breath, yellow teeth, sensitive teeth, to name a few) and be certain that you establish a daily brushing and flossing regimen that you stick to each and every day. If you are suffering from any type of dental problems, are uncertain as to which toothpaste is best for you, or are in need of any type of dental consultation, then contact our superior team of dentists and dental hygienists at Midway Family & Cosmetic Dentistry today.